Green Tea comes from the leaves of the camellia sinensis plant, which is native to China and popular across Asia and the Middle East. Green tea leaves have been steeped for centuries both for taste and as an herbal remedy to induce sleep and promote fast weight loss, among numerous other benefits for your health and body. Green tea is well known around the world for its countless health benefits and is recognized by naturopaths and medical doctors alike. In addition to helping you lose weight, drinking green tea is a heart-healthy habit that may reduce your risk of developing heart disease and even some types of cancer. Thermogenesis is the act of burning off heat warm-blooded animals. This occurs naturally through exercise or shivering, but can also induced by caloric restriction (dieting) or eating certain foods. Diet-induced thermogenesis (or DIT) happens when your body engages in lipolysis to produce energy. Lipolysis, in short, is how your body burns off excess fat. Studies have shown that plants and herbs such as green tea, ephedra, bitter orange, ginger and caffeine induce the process of thermogenesis when consumed. In fact, drinking five cups of green tea a day will result in enough thermogenesis to burn an extra 70 to 80 calories daily. This is because green tea contains caffeine, polyphenols and epigallocatechin gallate (EGCG), a powerful antioxidant and stimulant. In addition to thermogenesis, green tea is hugely beneficial for managing obesity and weight loss because it stimulates fat oxidation. To add green tea to your weight loss diet, you can drink a four to six cups of green tea daily, but who has time for all that brewing? Thanks to the wonders of modern medicine, the weight loss powers of green tea are now conveniently available in many herbal diet pills. 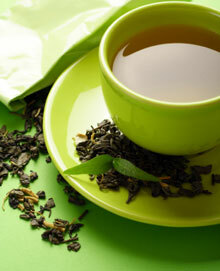 Want to add green tea to your weight loss efforts? 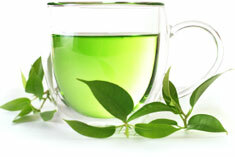 Look for a diet pill that contains green tea extract with a high concentration of EGCG (epigallocatechin gallate). 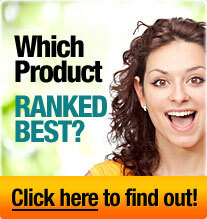 Read our diet pill reviews now to learn more about the best herbal diet pills available today.